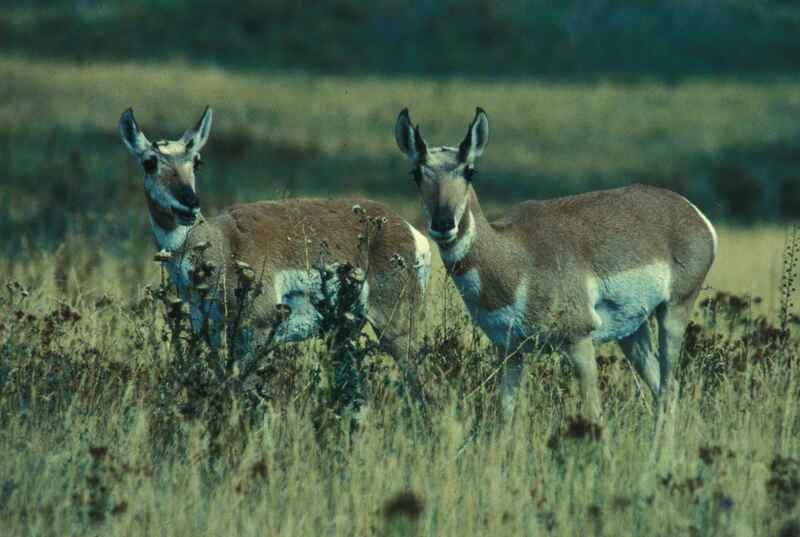 Landowners who want a voice in how Colorado Parks and Wildlife manages the Haswell and Tobe pronghorn antelope herds in CPW's Southeast Region should speak up now. Region officials have begun the process of revising the herd management plans that will guide CPW for the next 10 years. To start, CPW mailed surveys to randomly selected landowners in game management units ranging, in general, from southeast of Punkin Center, southwest of Kit Carson, northwest of Campo and northeast of Branson. In addition, CPW is inviting input from other landowners in hopes of getting a wide sample of opinions to guide wildlife managers writing the plans. The herd management plans to be revised include nearly a dozen Game Management Units, or GMUs, including 120, 121, 125, 126, 130, 136, 137, 138, 143, 144 and 146. Several years of above-average fawn production caused antelope populations to peak in 2010, with an estimated 6,000 animals in the Haswell herd and 5,000 in the Tobe herd. Since then, both populations have declined due to drought and increased harvesting including the addition of a December doe-only hunting season. Currently, the Haswell and Tobe herds are estimated around 3,500 antelope each, with buck-to-doe ratios near 40 or so bucks per every 100 does. "Landowners within the Haswell and Tobe herd management areas are encouraged to participate in the survey and let us know how they would like to see the antelope population managed relative to their current numbers," said Jonathan Reitz, wildlife biologist. There are several options for any landowner who has not received a survey in the mail and would like to provide feedback. They can drop by the CPW Service Center in Lamar at 2500 S. Main St., or call at 719-336-6600. Another option is to contact their local CPW district wildlife manager. Or they can call Area Wildlife Manager Travis Black at 719-336-6603 or Reitz at 719-336-6605. Sportsmen in the CPW's Southeast Region will be surveyed separately for their opinions on management of the antelope herds. The purpose of a herd management plan is to integrate CPW's management strategies with information from the public to determine how a big-game herd should be managed.